To become Psychic with Tarot, first find a deck with images you FEEL connected with. This means pictures you like and relate to in some way. For instance I like the Hanson Roberts deck, the Robin Wood Tarot and the Connolly Tarot Deck. I don’t like the darker cards like Crowley’s Thoth Tarot, but each to their own. 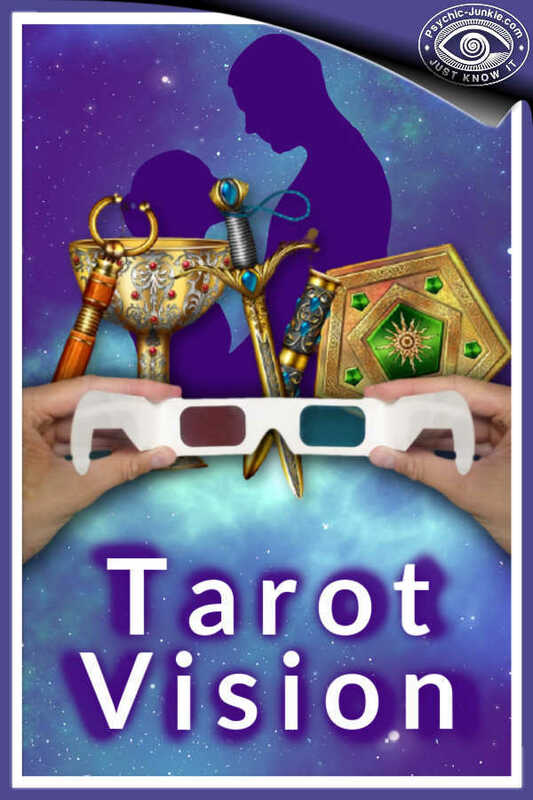 One of the most popular decks is the Rider-Waite Tarot. If you are looking for a set of Tarot cards, eBay and Amazon are great places to find a deck at a good price. Or hunt out your local New Age store to pick something out if you want to be a bit more feely touchy. Just a note on the Tarot. There are 78 cards comprising two decks. The Major Arcana has 22 cards and The Minor Arcana 56. Originally only the Major Arcana were illustrated and the Minor Arcana was similar to a set of traditional playing cards with four suits. A tarot deck’s seven of cups, appearing similar to the seven pips on a seven of hearts in normal playing cards. But the Rider-Waite Tarot changed all that with illustrations for all major and minor arcana cards. Most decks with illustrated minor arcana are inspired by the artwork of the Rider-Waite deck. This makes the Rider-Waite a good deck for learning the Tarot because once you understand the Rider-Waite you will relate to most other decks too. So make sure you check the minors when looking for a deck with which to practice clairvoyance. Decks like the Thoth for instance are really not suitable. 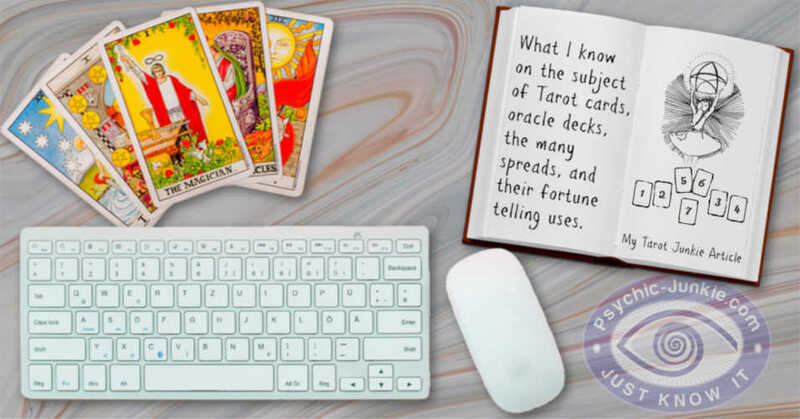 However my purpose with this page is to give you tips on how to be Psychic with Tarot Reading. 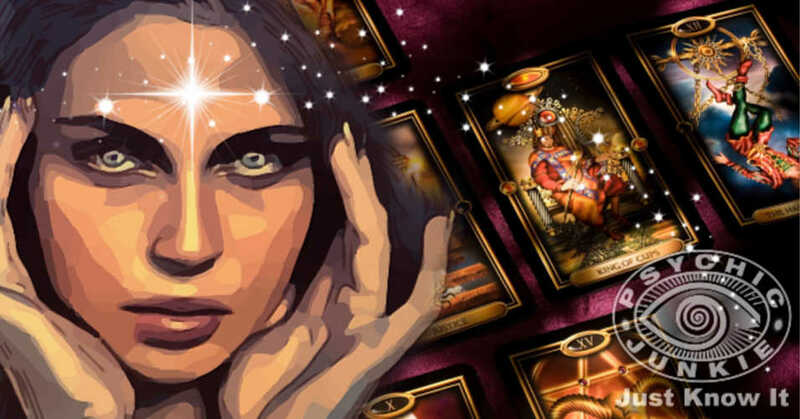 For that end you do not need to learn each tarot card meaning, in fact I always recommend discarding the instruction books in a tarot deck if you want to develop your psychic ability. Knowing the meanings of all the cards is OK for serious students of the Tarot, but not so for Psychics. Ok! You have a tarot deck that you like. Now you need to learn how to relax your mind to a psychic state of mind. (See Schumann Resonance for help with that) When you are comfortable with relaxing and slowing your brain wave frequency to 7.83 htz, it will be time to play with your set of tarot cards. With you mind in Psychic Resonance shuffle your cards and pick one. Ask no questions and hold no thoughts, as much as you can anyway. Now lay the card face up and look at it, through it, in detail and not in detail. WHAT GETS YOUR ATTENTION? Is it a flower in the hand, a raven in the background, or the thought of movement in a coin in one direction or another? See what comes to mind and take that as a simple psychic message. Now, if you want to ask a question in your mind, do so. Shuffle the cards again, picking one, lay it face up and allow something in the card to get your attention. A small item or the whole feeling of the image, what thought do you have? Happy - Sad? Stuck or Free? Work or Play? Whatever thought it is, and it will be noticeably SIMPLISTIC, take note and accept that as your message. Practice this often, while relaxed, and you will certainly start to develop some ability at being psychic with Tarot Reading. This is an unfolding process so keep it up. 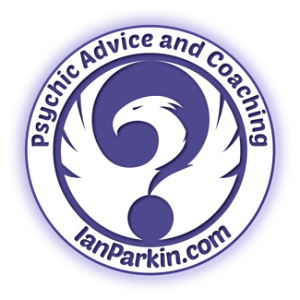 Q) - Should I follow a Tarot Card spread like the Celtic Cross? A) - Only if you feel strongly drawn to. I don’t use spreads, being psychic with tarot reading I am continually shuffling and laying cards while holding conversations with my clients. I lay six to a dozen cards in no particular order and just allow a story to unfold. If you must use a spread in the early days of your psychic development you will usually find a layout in the instruction booklet inside your box of Tarot Cards. With the continued practice of relaxing your mind so that your brainwave frequency drops around Alpha and Theta and ‘Gazing’ at images of the Tarot, you will be able to have others ask you questions too. Yes, you can develop the ability of being psychic with tarot to then start performing readings for others. Play with it, and trust yourself to speak your hunches. Dump your logic when conducting a reading and you will get clearer and clearer as time goes on. Your confidence will build as your feedback from the readings gets better and better.